Buying a property in Rosanna can be a daunting and difficult process. For many of us, it is something we only do a few times in our lives. Questions such as “where can I find a home I can afford”, “am I paying too much?”, “where can I find someone to bid for me at auction” are easily answered with the assistance of a buyer’s agent specialising in the Rosanna area. WE MAKE IT EASY to get your weekends back and find the perfect home or investment property in Rosanna for a LOW FLAT FIXED FEE. We guide you through the entire process, from selecting a home, market appraisal, negotiating/bidding to the final inspection, and help you purchase with confidence. We also offer a service for vendors selling in Rosanna. We offer our Vendor Advocacy service to our sellers at NO CHARGE. The suburb of Rosanna in Melbourne is 12 kilometers away from the CBD. This leafy community is part of the local government area of the City of Banuyle and has a population of 8,498 as of 2011. The area where the suburb lies was originally bought by James Watson in 1840. He named it Rose Anna Farm as way of dedicating it to his wife Elizabeth Anna Rose. Eventually, the area was further subdivided with some parts sold during the time when Watson encountered financial difficulties. By 1901, the farm was further subdivided particularly as the Hurstbridge railway line got extended from Heidelberg to run to Rosanna. Unknown to many, Rosanna was ranked as the 150th most liveable suburbs of Melbourne in the 2005 Liveable Melbourne report of The Age. It boasts of a friendly community with residents who take the time to interact with their neighbors. It is ideal not only for families with kids but also for singles and retirees. Many amenities are within walking distance from Rosanna. The Rosanna Village which has lovely cafes and the Yarrar Plenty Library across the train station are nearby. 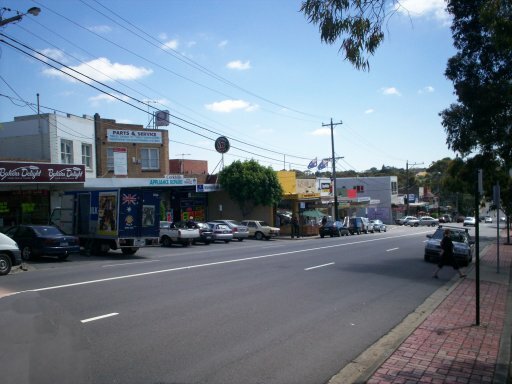 The Northland/Chadstone shopping centres and Heidelberg/Ivanhoe strip shops are also easily accessible. Parklands also abound in the suburb and provide a great environment for walking with loved ones and even your dog. Winston Park is just one of them. Rosanna is home to various primary schools and a college. These include the Heidelberg Primary School, Banuyle Primary School (1960), Rosanna Primary School (1940) and Golf Links Primary School (1956). The Viewbank College located on Warren Road is also in place. This institution was established in 1994 as a result of the merger of Rosanna East High School and Banuyle High School. Another top secondary school in the area is the Our Lady of Mercy College. This entry was posted in Suburb Profile and tagged Melbourne suburb, Rosanna suburb, Rosanna suburb profile, suburb information for Rosanna, Wendy Chamberlain. Bookmark the permalink.